As dad to three kids, I love to drive them to school as a regular part of our routine. We talk, listen to audiobooks, finish any last-minute homework, and pray together before I drop them off. In October 2018, I had just left the school when I thought, "There ought to be a short podcast for families and for individuals to focus on God's Word while driving." 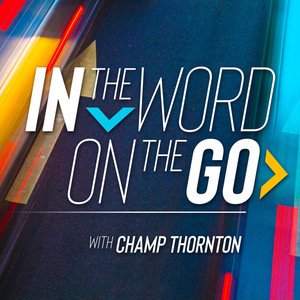 In the Word, On the Go.